Move-it designed by David Graham is a simple solution to help you transport heavy boxed items without the need motorised transportation. The concept DIY kit is into a cardboard trolley that’s really durable fits to the boxed item you need to transport in minutes using bio-degradable self-adhesive areas. Watch the video after the jump to see this eco friendly way of moving heavy items up to 20kg. 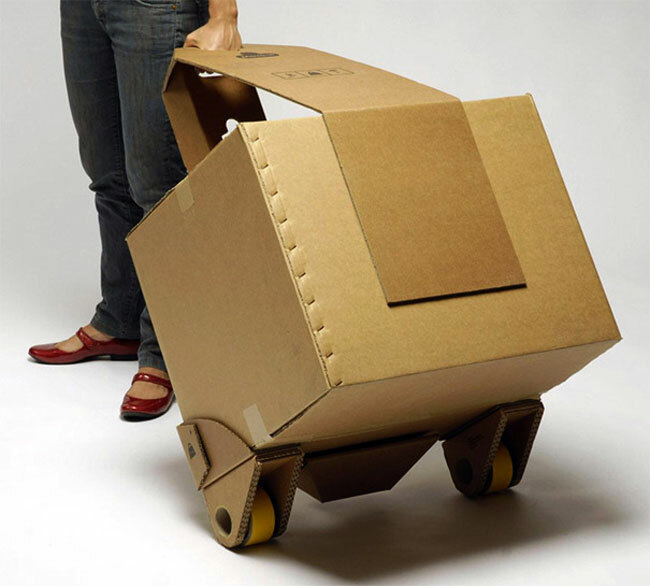 Consisting of a set of wheels and two different types of handle, a combination of these components allows you to move boxes of almost any size and shape! Once the trip is finished the whole trolley can then be recycled. Move-it is currently entered into the James Dyson Awards. You can check out the other entries and vote for David’s Move-it concept here.